For upcoming trainings, seminars, conferences and other professional development opportunities, check the Clearinghouse Events listings. This page lists organisations and individuals who provide training for people working with those affected by family and whānau violence. Other providers may exist in your local area. The list is in alphabetical order. Descriptions are based on information provided by the organisations listed. Please contact organisations for further information and course availability. Please note that course listing does not constitute endorsement by the New Zealand Family Violence Clearinghouse, as we are not able to review the training provided. See the Education and training page for information about tertiary education and online learning. Brainwave Trust's aim is to raise public awareness about new findings in brain research and to educate everyone who has an impact on the early life of children about the important implications of this knowledge on our children’s physical, social, intellectual and emotional development. CALD cultural competency courses, developed by Waitematā District Health Board Asian Health Support Service, are delivered face to face as well as self-paced online courses. See the course pages for information about how Auckland-based health practitioners, and those outside Auckland or the health sector, may be able to access this training. The CALD Family Violence Resource for Practitioners - working with Asian, Middle Eastern & African clients online and hard copy resource is for practitioners who have completed Family Violence Intervention Programme training and a basic CALD module. It provides a general guide and essential culture-specific knowledge and tools for health practitioners who work with CALD clients from Asian, Middle Eastern and African backgrounds in the New Zealand health system, around violence screening and intervention. It contains research material and guidelines to enhance the knowledge, attitudes and skills of practitioners. This Canada based organisation offers workshops and conferences in New Zealand in association with Response Based Practice Aotearoa. Presenters include Allan Wade, PhD and Cathy Richardson, PhD - developers of the Response Based Practice approach to working with survivors and perpetrators of family violence. Child Matters is New Zealand’s specialist provider of child protection related training and professional development. Child Matters provides training from introductory level half-day workshops through to a one-year NZQA accredited Diploma course. Family violence prevention training including: Understanding family violence – Ecological insights; Family violence intervention model, Effects of family violence on children; Recognising family violence; Risk assessments, Safe practice; Engagement for change; and Safety planning. DVD offers an interactive training workshop. At this training, participants will learn about identifying and responding to abuse in the disability community. Contact DVD about training availability. Shine supports District Health Boards around the country to deliver family violence training which includes both partner abuse and child abuse and neglect to their staff, as part of the Ministry of Health Violence Intervention Programme. Contact the FVIP coordinator at your district health board or Shine for more information. HMA is a team of learning and development practitioners offering blended learning solutions to organisations in the social service sector. Much of their work occurs in the areas of criminal justice work, family violence prevention training programmes, child protection, the interviewing of children experiencing trauma, abuse issues, and psychological assessment and therapy. They provide group programme design and training for trainers, group facilitation skills training, social services supervision, and training in motivational interviewing. HMA developed around the work of Ken McMaster. The campaign aims to change the way NZers think and act about family violence. The campaign team provides support and resources to groups planning family violence prevention activities. Reporting family violence (for journalists and news rooms). Workshops are tailored to suit the particular need and aims of the community. Contact the It's not OK team. 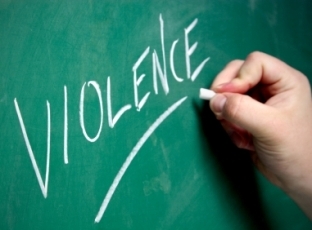 Areas of Specialty Work include: Domestic Violence Intervention and Education, including: Community Engagement and Mobilization; Training Practitioners in Practical Stopping Violence Concepts, Analysis and Tools; The Correlation of Grief and Trauma and the Cycle of Violence for Perpetrators & Victims; Working within the Faith context – Weaving Stopping Violence Work into Proactive Faith; Programme and Resource Development. Family Therapy, including: Utilising Families to do the Missing Piece and Support the Healing Process for Victims of Abuse and Trauma. Contact Kara Duncan-Hewitt to discuss tailored training packages for your organisation or community. Training offered throughout New Zealand. MEDSAC trains nurses and doctors working in sexual assault assessment and treatment throughout New Zealand. The clinicians trained by MEDSAC are the primary providers of forensic and medical sexual assault care. The Pacific Family Violence Training Programme aims to help to eliminate violence in Pacific families and communities. The intent is to build the capability of Pacific family violence practitioners and service providers to provide culturally appropriate interventions to victims, perpetrators and their families. This training is currently under development by a training provider. Dealing with Disclosures: for professionals who want to learn how to respond to disclosures of sexual violence and abuse (secondary/tertiary prevention). Host Responsibility (S.C.A.N): for hospitality professionals who want to learn how to prevent sexual violence in the work place and how to keep patrons safe (primary prevention). This group organised Dignity2015, held in Hawke's Bay, featuring Dr Allan Wade and Dr Cathy Richardson from Canada among others. Resources from Dignity2015 are available on the website. Check the website or Facebook page for future RBP events in Aotearoa. Provides seminars, workshops and training sessions for a wide range of audiences including: Standard presentation; Community Audits; Community Partnerships; Community Problem Solving; Domestic Violence and the Workplace; Information Analysis; Protection Orders; Risk Assessment and Safety Planning; Special Topics; Violence – Standard presentation; and Police Safety Orders. The Safeguarding Children Initiative is a charitable organisation which aims to reduce child abuse in New Zealand by delivering free evidence-based seminars. SCI has developed a free eLearning Basic Awareness & Child Protection course. Shine delivers training programmes to a wide range of audiences, accommodating diverse and tailored requests relating to the topic of domestic abuse. Shine’s training is informed by their experience of delivering frontline services to victims and perpetrators of domestic abuse. Training sessions range from one hour general awareness sessions to an intensive one or two day training. Their one-day or longer training sessions teach professionals the theory and practical skills to help them recognise the signs of domestic abuse, respond safely and appropriately, and refer to specialist organisations that can provide needed support and advocacy. Shine have a hugely experienced training team and have delivered their one day professional training a minimum of once a year for over ten years, and their two day advanced training annually for over five years. All of Shine's training consistently receives positive feedback from its participants. See also Family Violence Intervention Programme training. The Mauri Ora Training Programme is based on the three elements of the Māori Conceptual Framework for the Prevention of Whānau Violence: Te Ao Māori - Practice Imperatives; Te Ao Hurihuri - Contemporary Influences; and Transforming Whānau Violence - Transformative practice through education empowerment. Mauri Ora Training provides akonga with a framework focused on kaupapa Māori principles and models to assist akonga to develop and implement solutions and strategies alongside whānau, hapū and iwi to enable positive transformative outcomes. The Women’s Refuge training unit Te Kōwhai New Zealand Family Violence Training & Research Institute was established to meet the need for quality information and training about domestic violence in New Zealand. Training has been delivered to communities, businesses, non-government and government organisations. Programmes offered includes: Domestic Violence Awareness Training Programme; Governance & Management Training; Mokopuna Child Advocacy Education Workshop; Women’s Refuge Advocate Training (NZQA certificate - not currently offered); Women’s Domestic Violence Education Programme; Tamariki Domestic Violence Education Programme; and Mauri Tau Training. See our education and training page for other professional development opportunities. This page was last updated on 2 October 2014.